Netsparker is pleased to announce a new integration solution for the Netsparker Enterprise product. You can now detect any status changes in your FogBugz (Manuscript) cases in Netsparker Enterprise and vice versa. What is FogBugz (Manuscript) Issue Synchronization? Netsparker Enterprise already supports out of the box integration with FogBugz (Manuscript), as well as with other issue tracking systems. This means that you can now resolve and reactivate FogBugz (Manuscript) cases according to the scan results, in addition to automatic case creation, and detect any status changes FogBugz (Manuscript) cases opened by Netsparker Enterprise. When Netsparker Enterprise issues are marked as Fixed, their counterparts in FogBugz (Manuscript) are automatically marked with the Resolved default status. Likewise, when Netsparker Enterprise issues are revived, their counterparts in Fogbugz (Manuscript) are marked with the Reactivated default status. 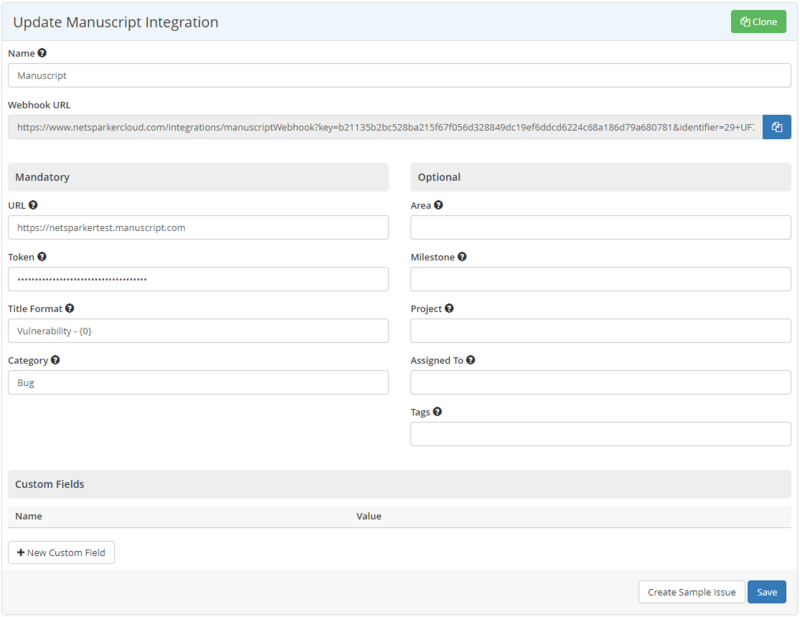 Netsparker Enterprises generates a Webhook URL after you save your integration settings. 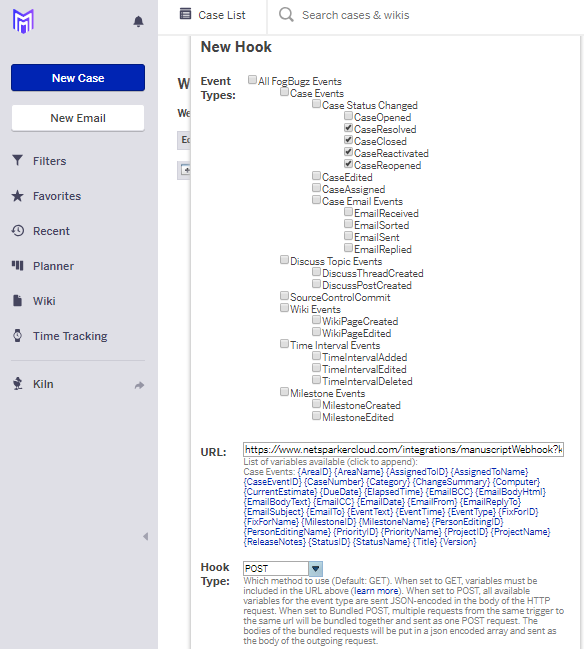 When you register this link as a webhook in your FogBugz (Manuscript) Project, Netsparker Enterprise will be able to detect changes in your FogBugz (Manuscript) cases. For further information, see FogBugz (Manuscript) Issue Synchronization and Integrating Netsparker Enterprise with an Issue Tracking System.